Udupi, Mar 22, 2015: The District Administration has been given strictures on ban of slaughter of all forms of life as sacrifice during the annual Mari Puja at Kaup, by the Karnataka HC. It is reported that in this regards, a leading Lawyer A Prem Raj filed a PIL in the High Court praying for an order to ban all forms of slaughter as sacrifice at the temple. 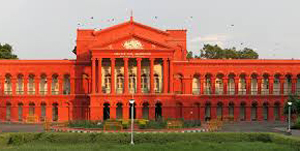 Judge of the HC, Justice K L Manjunath gave an order to the district administration to issue a ban order in this regard. Local residents said, people offer live hens and goats at Mari Puja. More than 25 years ago an order was issued for a ban but no impact is visible. Mari Puja is to be conducted in Mariamma Temples: i.e : Shri Hale Mariamma, Shri Hosa Mariamma and Shri Moorane Mariamma; March 24 and 25. Devotees from DK, Udupi and UK districts mainly perform the puja to appease the God according to their beliefs. The local Police held a meet with public on the issue on March 21.